Watch true autonomy in action. Applications for drone technologies have seen a quick rise lately. From Amazon Prime Air delivering packages to consumers to drones capable of delivering life-saving medical devices directly to the scene of an emergency, drones are proving their ubiquity more and more with each development. Airmada, a drone-making startup out of Boston, is looking to continue that trend. The company’s latest product is sort of an all-in-one drone solution. This robotic ground station safely stores a drone when it’s not in use. 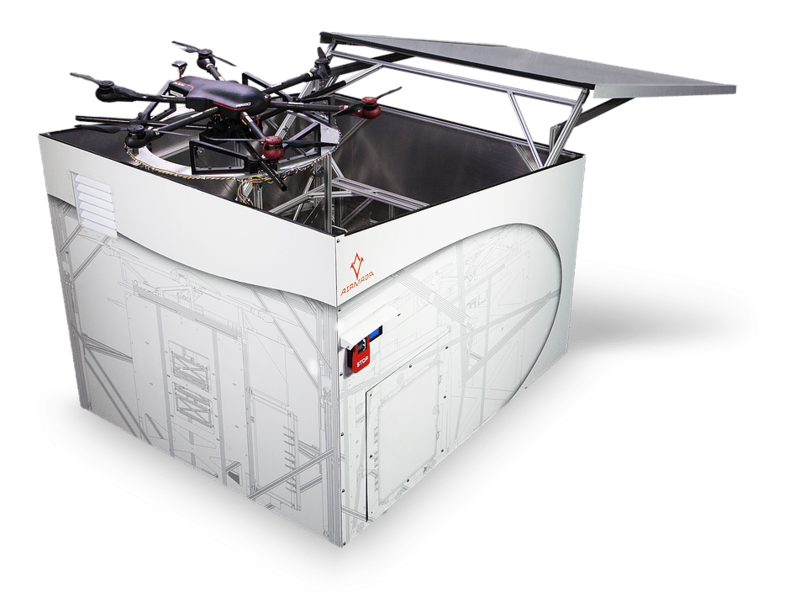 Once the drone is activated, the box opens and serves as a launch pad, allowing the drone to take off from inside the box. Once the drone has completed a round or come back from a response, it simply flies back to the box and lands. The drone is folded back up, and the battery can be switched out for charging. Airmada is positioning this product for use as industrial security. The drones are able to respond more quickly to tripped alarms and keep human security guards out of potentially dangerous situations, or even just to do routine rounds on an industrial campus. Even so, Dan Danay, Armada’s co-founder and CEO, has bigger plans for his tech.